Items that are on a separate line are shipped in separate packages due to the nature of the how the products are packaged and shipped. The exception are sweatshirts which can ship with t-shirts, bags, and beanies but the base price will be the sweatshirt 1st item price and then any items from the other group of products will be charged the additional item charge for that group. Product will ship in individually packed Drop Shippers. Qty 4+ product may be bulk-shipped. Most packages are shipped in basic white poly bags. There is no branding on the packages, just the return label that features your business name. 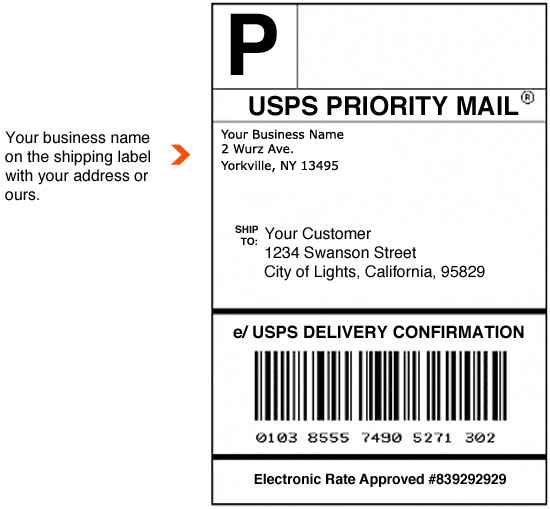 On the return label we can use any US address you provide or just use our mailing address ( 2 Wurz Ave. Yorkville NY 13495). Due to USPS rules you are unable to use an international address.